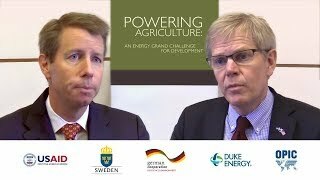 Ashden, in partnership with the U.S. Agency for International Development (USAID), is delighted to announce today a new 2014 award for innovators using clean energy technologies to increase production in the agricultural sector. The USAID Ashden Energy for Agriculture Award is free to enter and open for entries until 5 November 2013. After a rigorous judging process the winner will receive an award of up to £40,000 at a prestigious ceremony in London on 22 May 2014. The Award will celebrate an outstanding enterprise or programme carrying out ground-breaking work in supplying renewable energy or energy efficiency products or services to improve agricultural processes in developing countries. For example, these innovations might help farmers mechanise their operations, improve irrigation, or add value to agricultural products through processing or refrigeration. 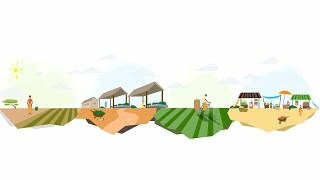 USAID is supporting this award through its Powering Agriculture Grand Challenge for Development, an open-source initiative that’s engaging a broad range of innovators to find new ways to bring clean energy to farmers. According to the UN, by 2050 we will need to produce 70% more food on the same land to meet the world’s food needs. Increasing access to energy for poor rural farmers in developing countries is critical not just to increasing farm yields, but also to helping farmers, food procedures, and distributors to climb out of poverty.